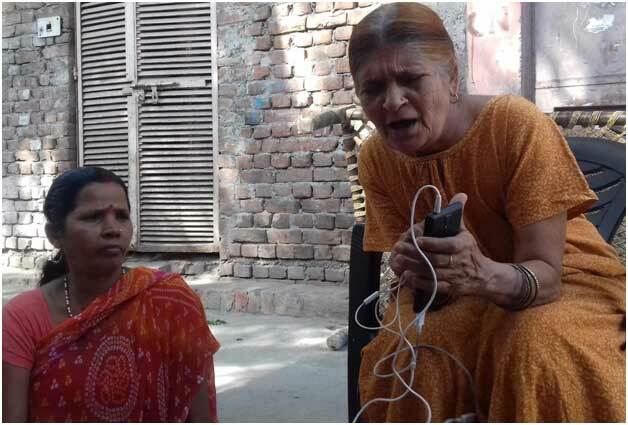 TORONTO, Mar 22 2019 (IPS) - When the most devastating flood in Bihar’s history came in 1987, Renu Devi recalled that the rampaging waters and landslides had swept away people who were sleeping, along with their beds. There was no water to drink and people went hungry for days in the aftermath of the disaster. “It was the most painful time. Sometimes I think no one should suffer so much,” said Renu, who recorded her experience in a two-minute video that included recent photographs of her, as well as historical images found online of the great flood. The flood – which destroyed more than 1.7 million homes and killed 1,399 people and 5,302 animals – had brought Renu and her husband to the slums of JJ camp, on the outskirts of Delhi, where they have lived in a shanty ever since. Renu was one of 20 migrant women and girls who produced a video after taking part in a year-long project implemented by WACC partner Ideosync Media Combine, which sought to empower migrant women by building their skills and confidence through the use of digital media. Women and girls from three urban areas on the outskirts of Delhi – the JJ slum cluster colony on the Faradibabad Bypass Road, Khan Badarpur Border and Palla Urban Village – learned how to operate mobile phones and use them to take photographs, record audio and video, edit short photo stories and browse the Internet. The project, Fair/Dem Sarai, developed a training manual with audio/visual stories focusing on freedom of expression, gender equality, right to information and other human rights, and shared this in workshops that were often held on doorsteps and laneways of the communities. The goal was not simply to teach them new skills, but to “open a new window of possibilities” for women and girl migrants who often have no voice in their homes and communities. “Women and migrants are also vulnerable because of existing patriarchal structures that restrict their mobility and make them victims of other forms of violence,” said Lorenzo Vargas, WACC Program Manager for Communication for Social Change. Ideosync Media Combine, in its project report, noted that the lives of young girls living in these communities are often restricted because the city is known to be unsafe for women. The project also wanted to record the experiences of Delhi’s migrants, which often do not find their way into the mainstream media. Its initial research showed that women and girls in these communities were concerned about such issues as domestic violence, lack of sanitation, unemployment, safety, drug and alcohol abuse. “Most women work from home and a large number of girls drop out from school before completing secondary education,” the report noted. While access to mobile phones and the Internet are generally available in these areas, they are largely used by men, it added. Many women who were initially interviewed said they had no use for new technology or felt inadequate because of their lack of education. 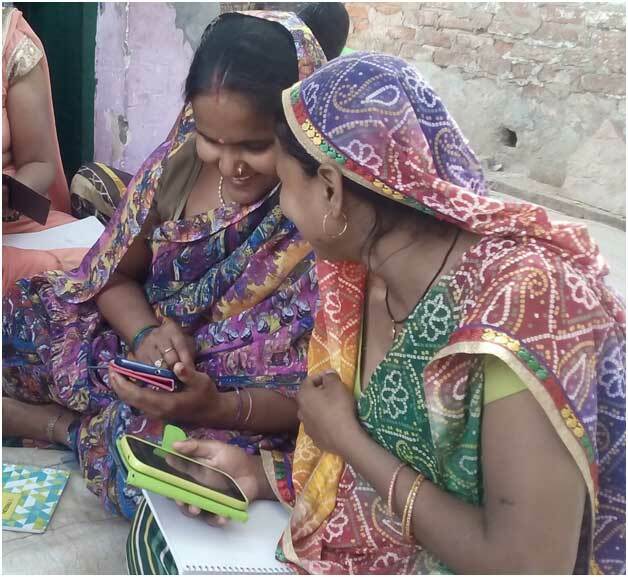 In a video testimonial, Poornima, a young girl from Tajpur Pahadi, Badarpur, spoke enthusiastically about how she learned how to take better photographs and make a video that she could show to her community. She expressed the hope that other girls would be given the same opportunity. “I just want that every girl should get a chance to do something in their life. I am feeling good,” she said, adding that she would teach others so they, too, can tell their own stories. Nirmal, a middle-aged migrant, said in video testimonial that she learned how to use the cellphone, browse the Internet and YouTube, take photographs, videos and audio recording. “Now I am not dependent on anyone, anymore,” she said. Most of the participants said they would use their new skills to document events in their community. “These trainings will help us further. It’s a good way to solve community problems,” said Kusum, from Block B, Madanpur Khadar, in another testimonial. Participants produced 37 stories in total, which have had several public screenings in communities and have helped them establish ties with local NGOs. The project – which ran from February 10, 2018 to February 28, 2019 – produced many “unintended positive consequences,” among them a marked increase of levels of capacity and reported self-confidence, the report said. Half of the trainees bought their own mobile phones and one started his own YouTube channel and became quite popular with his regular posts after the project. An older migrant woman learned how to navigate the web and now regularly uses YouTube and Google search engines to explore new designs for her tailoring shop.